The 16hr On the Job Course for Security Guards was developed in response to requests from within the Security Guard industry. It is mandated by law that security guards complete this course. 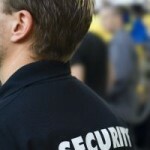 The General 16Hr On the Job Training Course for Security Guards requires one hour for review and examination. A minimum score of 70 percent must be achieved by each student to satisfactorily complete the course. All our instructors teaching the General 16 Hour On-the-Job Training Course for Security Guards are certified through BMP/SGP in accordance with Part 6029 of the New York State Compilation of Codes, Rules and Regulations. The General 16hr On the Job Training Course may only be administered by an approved security guard training school at a facility that has an “environment conducive to learning”.